Get ready for the 80’S INVASION! Dance Contest & 80’s Costume Contest. DVS brings you all the 80’s Invasion Event Details, Ticket Links, Directions and everything you need to know. It’s April 14, 2018 @ Fox & Hound – Fort Worth. All Details for this event are listed below. This Madonna outfit is only one of dozens of Madonna complete outfits we keep in stock. 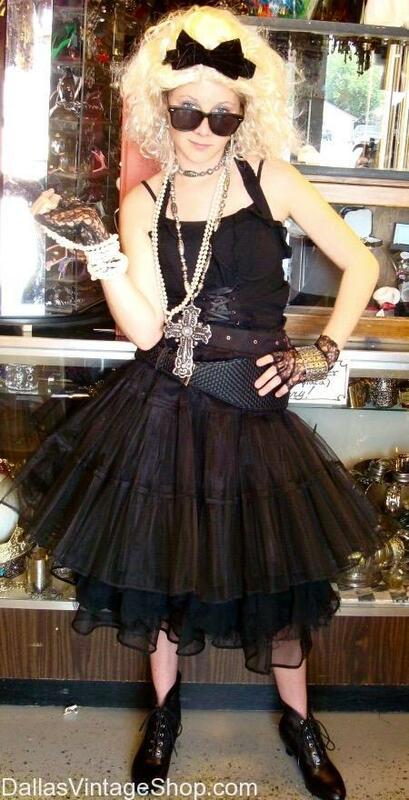 Madonna is only one of 100’s of Pop, Rock, Glam, Punk, Alternative Rock Stars we can dress you as. We have the wigs, makeup, fashions, jewelry, gloves, shoes, hats and anything you could possible need to get you the Fabulous 80’s Look you want. From 80’s INVASION Event Organizer: “The 80’s were the ultimate party and we are bringing them back this April.